Anna and Wendy discuss episode 29 of Chronologically LOST, Episode 029 – September 25-27 2004 (days 4-6), featuring Jack’s introduction to Ethan, boars in the fuselage, a hunt proposed and executed, a challenge of catching a fish, a woman drowning, an encounter with the smoke monster, a memorial service, and Jack chasing his father into the jungle. Podcast length 1 hr 12 min. Never Let It Fade Away: The music of the Others LOST band – on Myspace, and some of their music can also be found accompanied by fan-made videos on YouTube, in addition to their orientation video for the band! Anna and Wendy discuss episode 28 of Chronologically LOST, Episode 028 – September 23-24 2004 (days 2-3), featuring the death of the marshal, the French transmission, Vincent responding to a whistle Locke carves, myriad minor scuffles and conversations, and a feel-good music montage. Podcast length 1 hr 14 min. Anna and Wendy discuss episode 27 of Chronologically LOST, Episode 027 – September 23 2004 (day 2), featuring two hikes, two instances of running away from an unseen terror in sheer terror, a scuffle, the discovery of handcuffs in the jungle, a platter of mystery meat from the ocean, a baby kicking in the womb, and a polar bear. Podcast length 1 hr 25 min. 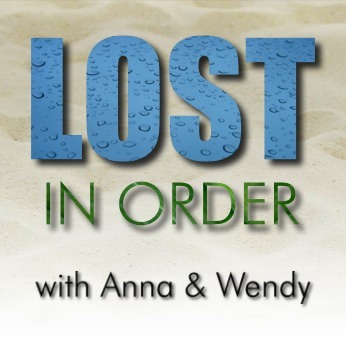 Anna and Wendy discuss episode 26 of Chronologically LOST, Episode 026 – September 22 2004 part 2, featuring the crash of Flight 815 and the first evening on the island. Podcast length 1 hr 40 min.